Japanese is the ultimate study companion for any Japanese learner. Discover the language, learn the grammar & master it with flashcards. Rewritten from the ground up. Now better than ever. Rewritten from the ground up. With Japanese, learning the Japanese language couldn't be easier. Japanese is truly comprehensive, giving you the tools you need to master the language. Search from over 180,000 dictionary entries and 58,000 example sentences and see the most relevant results as you type. 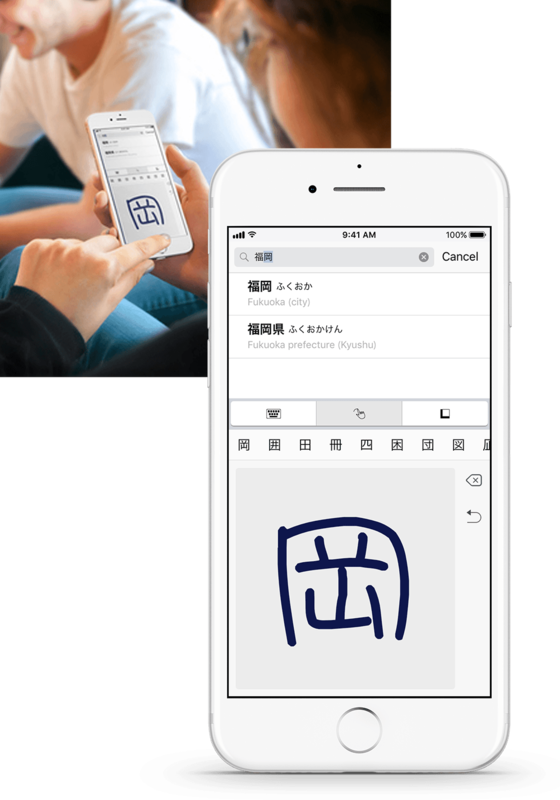 Draw any kanji or kana with handwriting recognition and Japanese will decipher and display the most likely character. Draw any kanji and have Japanese decipher and display the most likely kanji or kana. Save your favorite words, your daily go-tos and those tricky ones you can't help but forget in easily manageable lists. 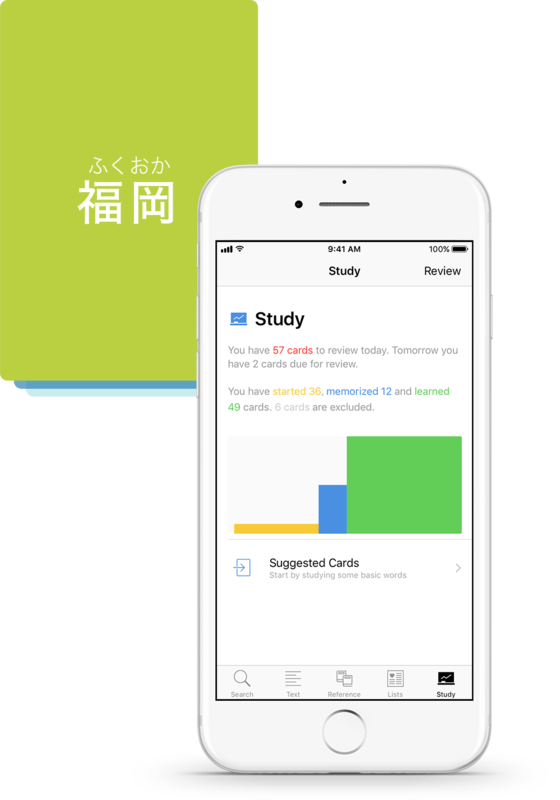 Create and customise flashcard lists, and then practice them until mastered with Japanese’s new and improved flashcard system. Japanese is packed with all the features you need to get started on your Japanese adventures. Master the language and become a Japanese pro! Since the last update I don't manage to use the app again, someone got a solution? 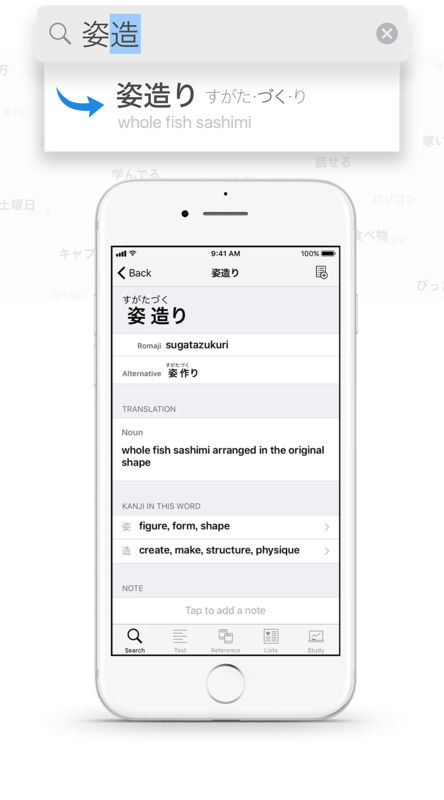 This app is absolutely perfect for Japanese learning at any level. I've never felt compelled to write an app review before. It's a strange feeling. It's kinda like when a product's survey asks if I'd recommend the product to my friends and of course I say no. Like, why would I? The product is never that great. I found this app so incredibly helpful for learning Japanese that I've not only recommended it to my friends and family, but I'm also driven to recommend it to you. This dictionary is incredibly vast and has sections not only for learners, but also for fluent speakers. It's got basic kana, a massive section on Kanji, and a section on radicals. 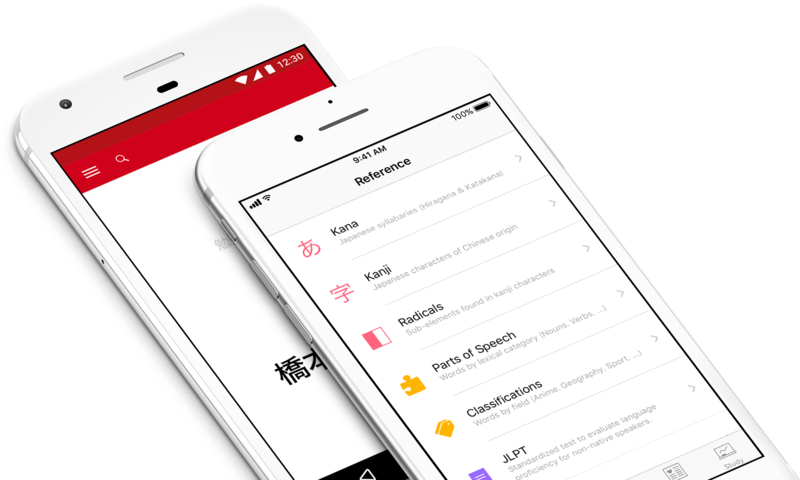 The vocabulary is sorted into lexical categories, specific topics, or simply assigned to the proper JLPT test rank. Each entry in the dictionary has valuable information for someone trying to learn, like sentence examples and a breakdown of every piece of the word or character. It's also got Kanji stroke order and verb conjugation. 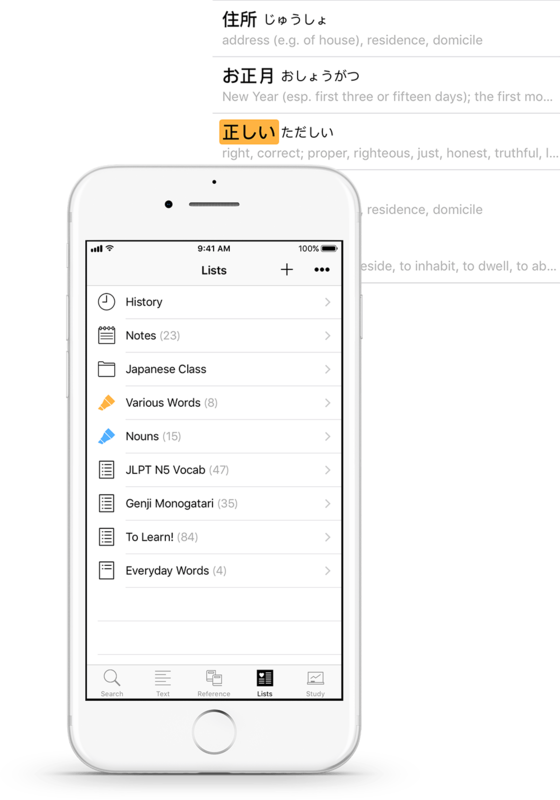 One helpful feature this app has is a way to create study decks of words or Kanji. When a entry is learned in a deck, the entry remembers it's been learned and doesn't show up as often as a non-learned entry. If that entry comes up in a later deck for whatever reason, it's still learned so you actually know how much of the deck you still have to learn. It's great! All in all, this app is fantastic and I highly recommend it. Excellent dictionary overall, with a little room for improvement. In my experience, when editing a list, it is too easy to accidentally delete it, so I would suggest the adition of a confirmation pop-up. A great dictionary that has been around for a long time. I got this when I lived in Japan in 2009-2011 and it was the only dictionary I needed. It can even make flash cards out of the words you look up. The Android version does have some bugs in it, though, that keep it fun getting top marks. Still highly recommended. hi, when will it be possible to back up and share lists on android devices? This one is a great dictionary and works great for study also. 100% recommend. Real good for learning japanese, absolutely love this app. Said it would not download the database. Then it did! Praise God. May God bless you, thank you very much! Get started with Japanese now! Japanese can be downloaded for FREE on iOS and Android devices. Japanese features content from sources including JMdict, KanjiVG and the Tanaka Corpus. To find out more about our sources, please visit this page. © 2008-2019 RENZO INC. ALL RIGHTS RESERVED.